Engine mount and shaft coupling bolt torque? So I did a shaft alignment on my 2002 Sunscape 21 yesterday. Was not too far out (0.015") but wow a V-drive is a bit harder than a DD. Hardest part was getting the engine to move sideways. After quite a few hours though I get the 2 flanges to within 0.0015" of each other and it was still there after I locked everything down. So not the question. I have no clue what the torque should be for the engine mount bolts. Anyone have any idea of spec's for the torque on the following bolts. 1. 4 coupler flange bolts (I found somewhere else on the forum that these should be at 50ft-lbs). Not sure how I am going to get a torque wrench on these but I might try. 3. 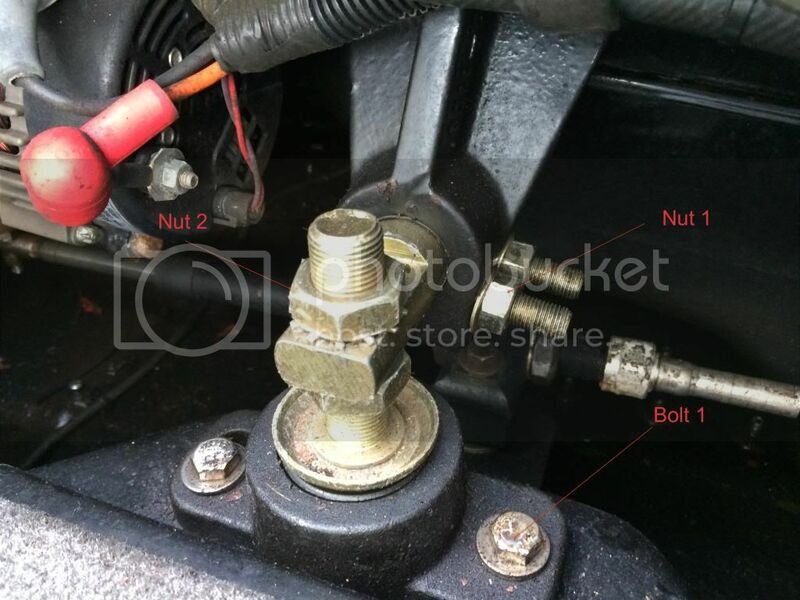 Front engine jam nut - the front of the engine has a bolt with a jam nut on it to adjust the vertical alignment, torque spec on the jam nut? 4. clamp bolts (I think that is what they are called). 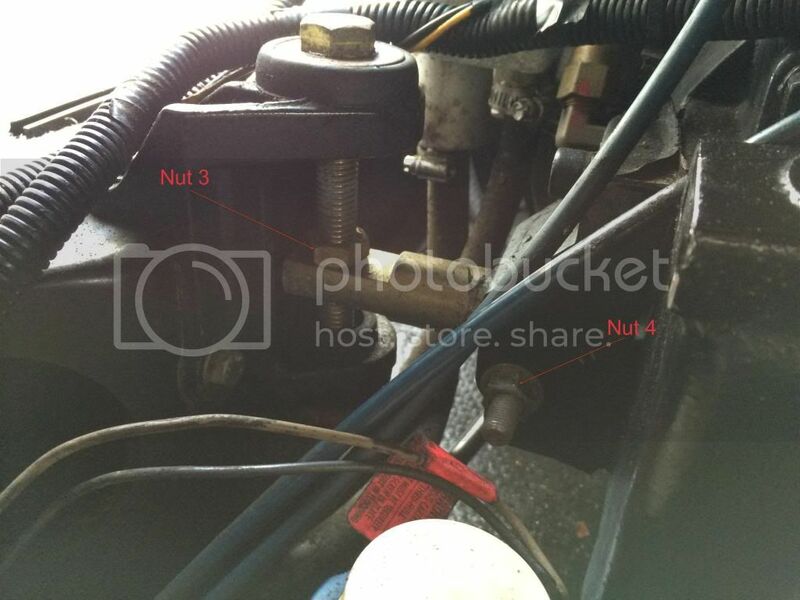 At all 4 engine mounting points there are 1-2 bolts that run parallel to the bottom of the boat and clamp on the stud that goes out to the vertical adjustment. These bolts have no head on them and a nut on one side. These are loosened so that the engine can be shifted sideways. Any clue what the torque on these should be? I believe those are the numbers I need but I am a little confused on which bolts / nuts are which. I took a couple pics of my mounting brackets and numbered the nuts and bolts. Can you tell me which is which?? I don't know their nomenclature. But, general rule of thumb is, the larger the fastener, the higher the torque. So, look at the highest torque and figure that has to be for the largest bolt / nut combo and work your way down.